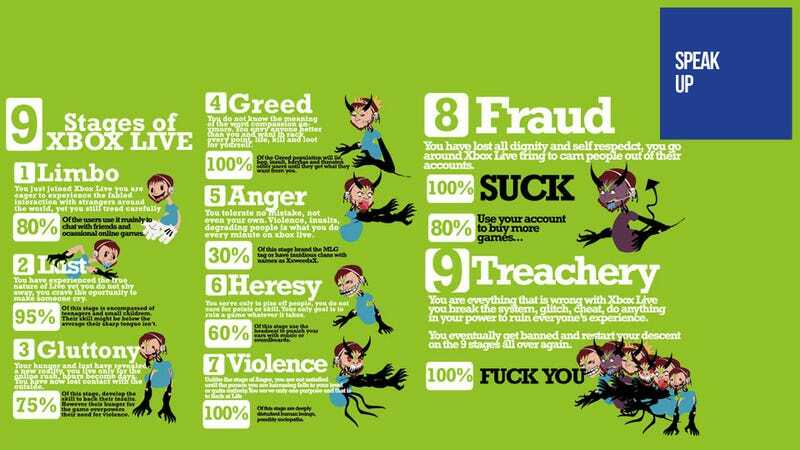 Commenter Firescorpio takes us on a (somewhat misspelled) journey through the nine circles of Xbox Live hell, a path that transforms an innocent online gamer into a foaming, frothing, enjoyment-destroying fuckwit in today's infographic-tastic edition of Speak-Up on Kotaku. Here's something i have been working on today, guess i'll share it with you guys. This is entirely subjectivo to my experience in Live.